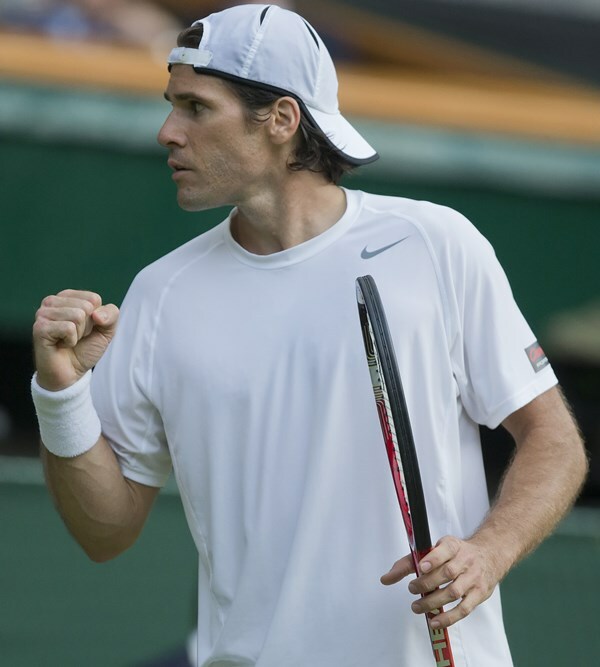 WINSTON-SALEM, N.C. – The Winston-Salem Open has added Tommy Haas to the main singles draw as its first wild card player, the tournament announced Wednesday. Haas becomes the 39th player of the 48-player main draw named to the field, joining the likes of Jo-Wilfried Tsonga, David Goffin, Sam Querrey and Viktor Troicki. At age 37, Haas is in the midst of a third incredible comeback having already won the ATP World Tour’s Comeback Player of the Year twice in his career in 2004 and 2012. Haas returned to action in June after a 12-month absence due to right shoulder surgery. He is currently ranked No. 522 in the world, but his ranking will improve significantly by August 22 and the start of the Winston-Salem Open, as he has a full schedule on tap for this summer. The 6-2, 185-pound German owns 15 career ATP World Tour Titles and reach a career-high of No. 2 in the world in 2002. He was ranked as high as No. 11 in 2013 before his most recent injury setback. Haas has played in four tournaments, including Wimbledon, since returning in June. At the All England Club, he made it to the Round of 64 with a victory over Dusan Lajovic but fell to Canada’s Milos Raonic in four sets. The 2015 Winston-Salem Open marks his first appearance at the tournament. Haas previously committed to play at the Winston-Salem Open in 2013 but had to pull out because of injury. The Winston-Salem Open will be held August 22-29 at the Wake Forest Tennis Complex adjacent to BB&T Field. Box seats and individual tickets to the Winston-Salem Open are available online at winstonsalemopen.com, by calling (336) 758-6409 or in person at the Wake Forest ticket office located at Bridger Field House at BB&T Field. Tickets to the tournament are on sale now, beginning at just $5 and ranging up to $49 for the championship on August 29. The Winston-Salem Open is offering discounts for groups of 10 or more, and tickets to qualifying on August 22 begin at only $5. There will be no additional fees to the ticket price and parking will be free again this year. The Winston-Salem Open, an ATP World Tour 250 event with a total purse of more than $695,000, will take place from August 22-29, 2015, with qualifying set for August 22. The tournament will be the final men’s event of the Emirates Airline US Open Series and is the week prior to the US Open. For more information on the 2015 Winston-Salem Open, please go to WinstonSalemOpen.com. Now in its 12th season, the Emirates Airline US Open Series continues to serve as a true regular season of hard court tennis, linking seven summer tournaments to the US Open. In 2014, Serena Williams won the US Open and Emirates Airline US Open Series women’s title for the second consecutive year, earning a record tennis paycheck of $4 million. Rafael Nadal (2013), Roger Federer (2007) and Kim Clijsters (2005) also accomplished the feat of winning the Emirates Airline US Open Series and US Open singles title within the same year. The ATP is the governing body of the men's professional tennis circuits - the ATP World Tour, the ATP Challenger Tour and the ATP Champions Tour. With 62 tournaments in 31 countries, the ATP World Tour showcases the finest male athletes competing in the world’s most exciting venues. From Australia to Europe and the Americas to Asia, the stars of the 2014 ATP World Tour will battle for prestigious titles and Emirates ATP Rankings points at ATP World Tour Masters 1000, 500 and 250 events, as well as Grand Slams (non ATP events). At the end of the season only the world’s top 8 qualified singles players and doubles teams will qualify to compete for the last title of the season at the Barclays ATP World Tour Finals. Held at The O2 in London, the event will officially crown the 2015 ATP World Tour No.1 presented by Emirates. For more information, please visit ATPWorldTour.com. © Copyright United States Tennis Association 2016. All Rights Reserved.